algae bloom spiaralling out of control, please help! 75 gallon tank. up and running for almost 2 years. 9 months ago I added 20 corals at once and lost almost 50% of the tank livestock. Bad decision to put so much in at one time. Ever since then my once a month water changes have not gotten the tank back to normal water quality. The last 4 months I started gettting bad brown algae blooms on the glass , sand, rocks etc. I have done a 10% water change for the last month and a half every week. The blooms are getting worse and happen soon after the water change. Should I stop these water changes and let the tank run the cycle for a month or two. Need someones help. A pic of the algae would help to ID it. Most unwanted algae in the SW are directly caused by too many nutrients. High levels of NO3 and PO4 are the main culprits. Can you post your levels? The best defense against this type of algae is regular and frequent water changes using high quality RO/DI water. 15-20% every three days to start. You should also examine your feeding schedule/techniques. 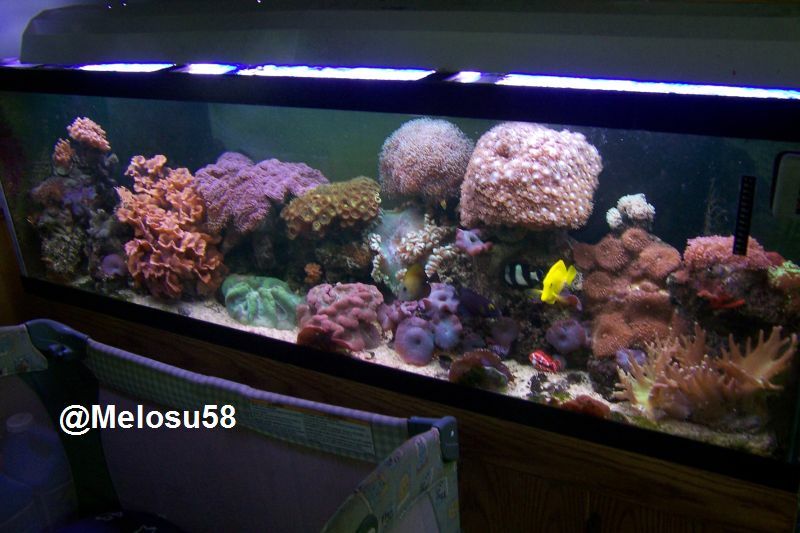 PO4 and excess NO3 are often introduced to the tank through feeding. Can you list what you currently feed...how much, how often and how it's prepared? I do weekly water changes. This will most help your situation. Also feed every other day. Your fish will be OK.
You should do more frequent water changes than once a month probably 20% bi-weekly. I agree. PWC are best first option. I woudl also go out and get some Poshpate media to remove phosphate from your water. Your tap water probably has too much phosphate as is and you need to knock it down. Buy a kit first to get a readign and if you are above .3 make sure to get soem phosphate absorbing media running. (Run it in the filter or get a phosphate reasctor). 3rd optiong is to get som microalgae. You can get a refriguim or just place the stuff in the main tank. It will then compeat with the bad algae for nutrients. 4th get a clean up crew. 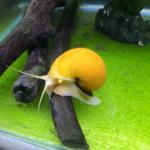 A couple of Turbo snails will go a really long way. That is what I have been doign and it has made a world of difference. IU will try to get new pictures up ASAP.